Are you ready to find the right Katy Air Conditioning Service Repair for your specific needs? When you’re trying to make sure you’re able to fix your AC units in the right way, you may feel like you don’t have any type of way to get out of your situation. This is a lot more complicated than you’d think, but our team can help you find your answers. Lean on Houston Admiral Services for the best AC service in Katy. Like most people, you’re probably expecting your system to last you another 15 to 20 years. While this can be a great thing that could very well happen in your life, it’s important to keep things in mind and fairly reasonable. Are you trying to make sure you get the most possible time out of your heating unit’s lifespan, but you’re not frequently maintaining it? Maybe you’re unsure of how you should do this and you’re ready to find someone who can help you. While this isn’t something that’s always going to be easy, you can count on our team here at Houston Admiral Services. With decades of experience, we know what it takes to make sure our customers get what they need. When you’re using an air conditioning and heating unit, you deserve to have it be in its best possible condition. This is something that’s going to keep you and your loved ones comfortable for decades. If you’re not able to trust it, what is there that you can put your trust in? This machine should be a staple and backbone for any American home. No family should go without this, and it’s something that everybody should keep in mind. While you may not know how to handle this in the best possible way our guys can help. Houston Admiral Services is proud to say that we have developed lengthy inspections and service appointments for our customers. Our detailed, 31-point inspection can help you grow out exactly what you need to do or your air conditioning unit. Our customers love this because it gives them an inside look at what’s really going on with the air conditioning unit. Nobody wants to do it by themselves, so why not hire a team that can truly get to the bottom of your struggles? Houston Admiral Services is one you can really trust in. Many people simply let their air conditioning and heating units go bad. If you’re renting a house, you may feel like this would be a waste of time, but there are many different options for those just like you. Ensure you’re able to stay ahead of your repairs and replacements by calling in our team. These hard working experts are ready to give you the proper resources you’ll need to make the most out of your setups. Houston Admiral Services cares about the city of Houston. Are you trying to make sure you have the right Woodlands replacements for your services? Maybe you’re on the search for the right Cypress, Katy, or The Woodlands air conditioning repairs for your setups. Regardless of what you’re looking for, Houston Admiral Services can be the shining light that offers you a quick solution. Call us today for more information. 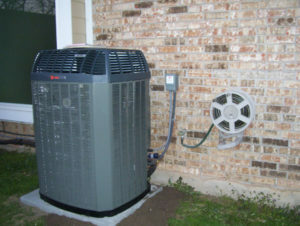 Houston Admiral Services provides our valued customers and clients with the right air conditioning services they need. You’re probably trying to make sure you’re using systems that give you the best possible performance. Nobody wants to use a bunch of air conditioning units that don’t work correctly. Not only will this be a headache for your entire family, but you’ll also have to deal with a lot of time and energy being spent. And don’t forget all the costly repairs! Make sure you’re able to get out of this conundrum by utilizing our local technicians. We’ve got your back, and we’ll make sure you’re properly taken care of by our agents. Save money by using Houston Admiral Services. Are you trying to go to certain technicians and stores and you’re absolutely disappointed by what you heard? Maybe you’re trying to figure out what needs to happen with your final billing statements and you still haven’t encountered a company you can fully trust. While this might seem like a very hard coundrum to overcome, we have a lot of options for you. Make sure you take advantage of our competitively priced rates and save cash. Houston Admiral Services understands that Houstonians deserve the best possible billing statements for their services. If you’re trying to make sure you’re able to save money on your AC and heating needs, call in our team for more information. By calling 281-876-9400, you may be able to save money on your next air conditioning maintenance. With our team on your side, you’ll have no worries regarding your specific process. We take care of our employees, and they take care of our customers. Without you guys, we simply wouldn’t be here today. Houston Admiral Services understands that you may be trying to find the right prices and discounts for your next air conditioning service. While you may not be too aware of what’s going on with your system, know that you’ll be able to acquire great prices by visiting our team. We’re always adding different types of specials to our website, and we understand that not everybody will be new. If you’d like to figure out a way to make sure you have the right access to the best in the game, we’re here to help. Katy Air Conditioning Service Repair services don’t have to tbe the thing that get in the wya all of the time for you. Youer’ someone who can figure out your circumstances and go higher. If you’re ready to feel like you may be going to need a professional for your AC, we can assist you. Houston Admiral Services will make sure you have everything you need to figure out your conundrums. For more information, call us today at 281-876-9400 for more information. We’re always prepared to help you get to the bottom of your struggles, and our team is here to provide timely assistance. Reach out to us when you have questions, comments, or concerns! Katy is an affluent area in Texas located near Houston. Near I-10, part of this interstate is actually nicknamed “The Katy Freeway”.